Calibrachoas are one of the most popular plants of all time because of their vibrant colours and their multitude of blooms. We are convinced all of the Tried & True varieties of Calibrachoas are the best hanging basket plants introduced in the past few years. 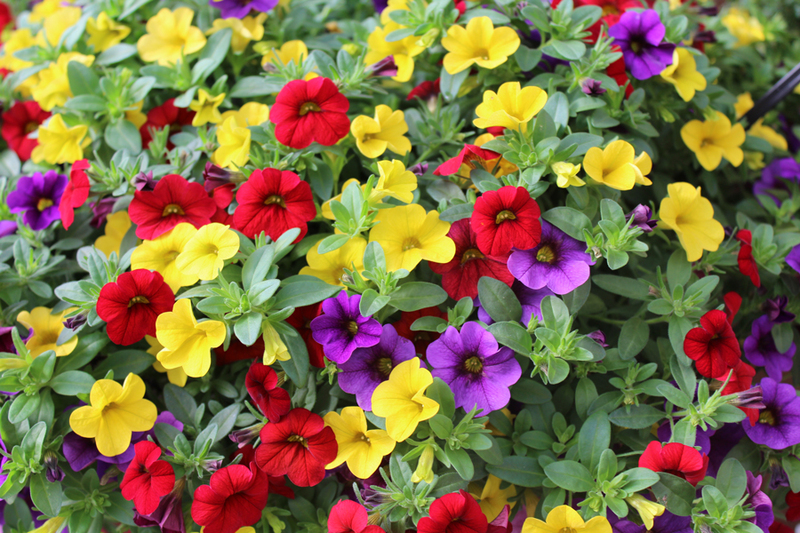 With literally hundreds of mini-petunia-like flowers adorning lush, trailing foliage, these charming plants bloom continuously all season long. 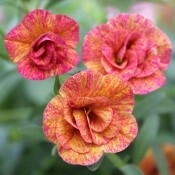 Calibrachoas are popular for planters and hanging baskets. They can stand alone, filling and cascading over the edge of just about any size or shape container. They make beautiful additions to mixed containers, where the colourful flowers will stand out against a background in any shade of green, bronze, or chartreuse. With the great colour selection, our Calibrachoas are true winners. 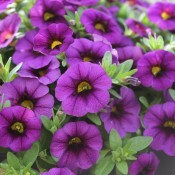 Calibrachoa Sweet Chimes Blackcurrant is a prolific trailing bloomer with dark purple and yellow-eyed flowers that resemble mini-petunias. Flowers open early in the morning and stay open in cloudy weather. Blooms from early spring until late autumn. 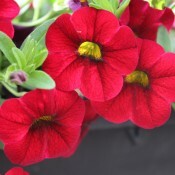 Excellent for hanging baskets, mixed containers, window boxes and planters. 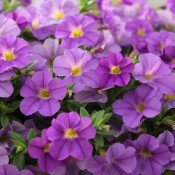 Calibrachoa Sweet Chimes Blueberry is a prolific bloomer with blue and yellow-eyed flowers that resemble mini-petunias. Flowers stay open in cloudy weather. Excellent for hanging baskets and planters. 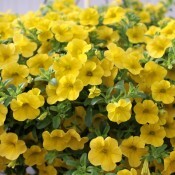 Calibrachoa Sweet Chimes Lemon Zest is a prolific trailing bloomer with vibrant dark yellow flowers that resemble mini-petunias. Flowers open early in the morning and stay open in cloudy weather. Blooms from early spring until late autumn. 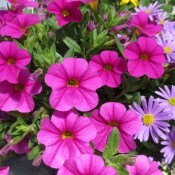 Excellent for hanging baskets, mixed containers, window boxes and planters. 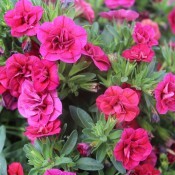 Calibrachoa Sweet Chimes Raspberry is a prolific bloomer with dainty dark pink flowers that resemble mini-petunias. Flowers stay open in cloudy weather. Excellent for hanging baskets and mixed planters. 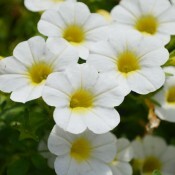 Calibrachoa Sweet Chimes Snowberry is a prolific bloomer with dainty white flowers that resemble mini-petunias. Makes an excellent display in hanging baskets, window boxes, and patio tubs.